Grow your business. Support women. Rediscover you. Done from your home. In your time. Around your life. You may be a yoga instructor, a birth practitioner or a keen yogi with an interest in woman-related issues. You want to grow or niche your offering. But you also genuinely want to help women – and yourself – learn more about the feminine body as it journeys through womanhood. allwoman is your online sanctuary to get you the training, knowledge & support you need. Fertility yoga, pregnancy yoga & postnatal yoga teacher training courses done in your own time in your own home. Being a teacher doesn’t mean you have all the answers. Just as you support your students, so you too need support. Get mentoring as part of your personal development and growth. Bespoke & intuitive, this in-depth online or face to face programme supports your personal journey so you’re better able to support others. From cycle awareness & womb health to general well being, these one on one 60-minute sessions give a holistic understanding of your feminine power. There is no place on earth more sacred than the womb. When you support women, you support the world. Our purpose:To help you to support women as they connect with themselves and discover their innate feminine power and body wisdom. The stress of modern life has left women feeling disconnected from what their bodies are trying to tell them. This has had an impact on our ability to conceive, birth naturally, recover, and flourish as we later move into menopause. allwoman aims to fix that. You have a dream, interest or passion in helping other women. I do too. Your own journey may have led you to this point. Mine did. I completely understand your curiosity and desire to make a meaningful impact in the world. Because I want that too. At the same time, I know that you might feel like you have no right to teach others when you have your own woman-related issues to work through. I’ve had the same feelings of self-doubt. That’s what makes allwoman different. 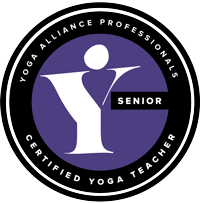 I offer yoga training to give you the skills and knowledge you need to teach and support other women. But I also work with you personally to explore your own needs, desires and fears. Providing a supportive nurturing space where you can work through your own difficulties and challenges, let go of what isn’t serving you and flourish as a woman. I’ve practiced yoga for 20 years, spent 15 years as a yoga instructor and 10 years dedicated to women-centric yoga. My intuitive approach and in-depth understanding of feminine well-being means you’ll feel empowered to transform your life and those of others. 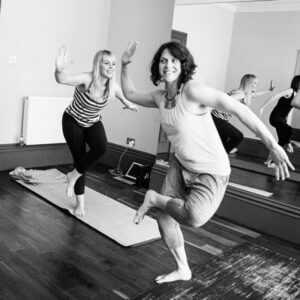 You are passionate about supporting women as they move into motherhood, by offering fertility, pregnancy or post-natal yoga to your existing classes or programmes. You’re a fertility specialist, doula, midwife or NCT educator who practices yoga regularly. You want to offer clients a more extensive service and greater knowledge of how to listen to their body. 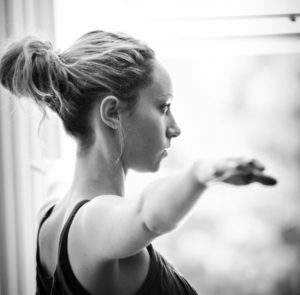 You are considering becoming a yoga teacher or are training to be one, driven in part by your own fertility, pregnancy or postnatal challenges. You want to heal yourself while thinking ahead to your potential future business. Optional step: Do the Journey Into You programme of self-discovery or get ad hoc woman-to-woman or mentoring support. On completing one of our courses you receive a certificate that enables you to get DSC indemnity insurance*. We’re here to offer support throughout. You won’t be alone in this. allwoman training is excellent quality, flexible and professional. *You need to have the required 200 hours of yoga teaching to obtain DSC insurance.